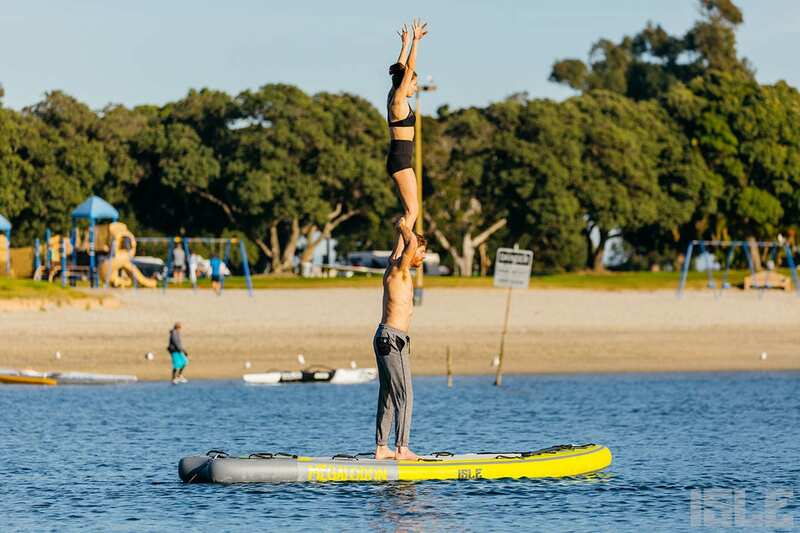 SUP AcroYoga is cold hard proof that you can do almost anything on a stand up paddle board. Well, maybe not anything, but when you view the photos below, you might begin to think that anything is possible on a SUP. Believe it or not, this was Adam and Jenna’s (yogis featured in the photos) first time practicing AcroYoga on a paddle board. It’s hard to comprehend because they hit it out of the park on their first try. Adam and Jenna teach yoga together at Trilogy Sanctuary in San Diego, CA. 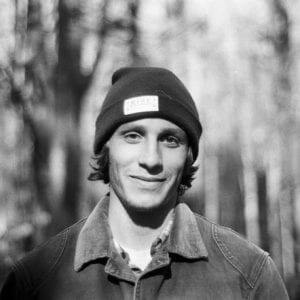 Adam is the founder of Southern California’s lastest drink craze, Boochcraft, Kombucha mixed with alcohol. 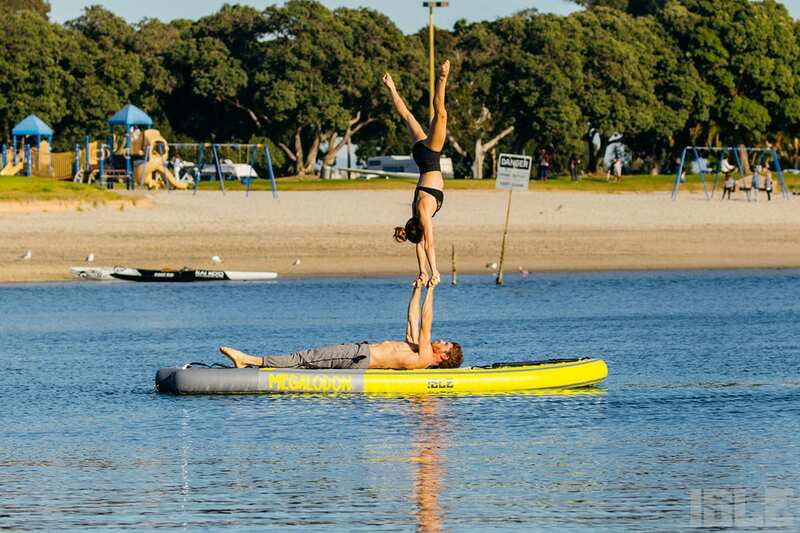 After seeing their impressive practice on a SUP and getting some firsthand pointers, we’ve got the lowdown on everything you need to know about SUP AcroYoga. They recommend regular yoga clothes that you don’t mind getting wet if you end up going for a swim or worst case, falling in. Adam’s go-to digs are Pi Movement pants. It’s important to get a good stretch in while you’re still on land. Like most sports, SUP AcroYoga is easier and safer when you’re properly warmed up. 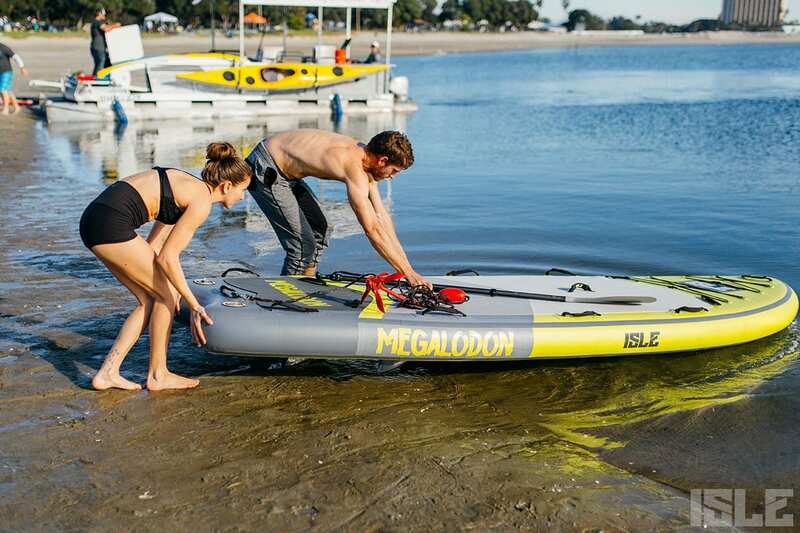 Most of our stand up paddle boards work well for yoga, however for AcroYoga we used our 12’ Megaladon for extra deck space and maximum stability. Pro tip: Don’t forget to bring a SUP anchor. This will give you added stability and keep you from drifting all over the place, especially if it’s windy.